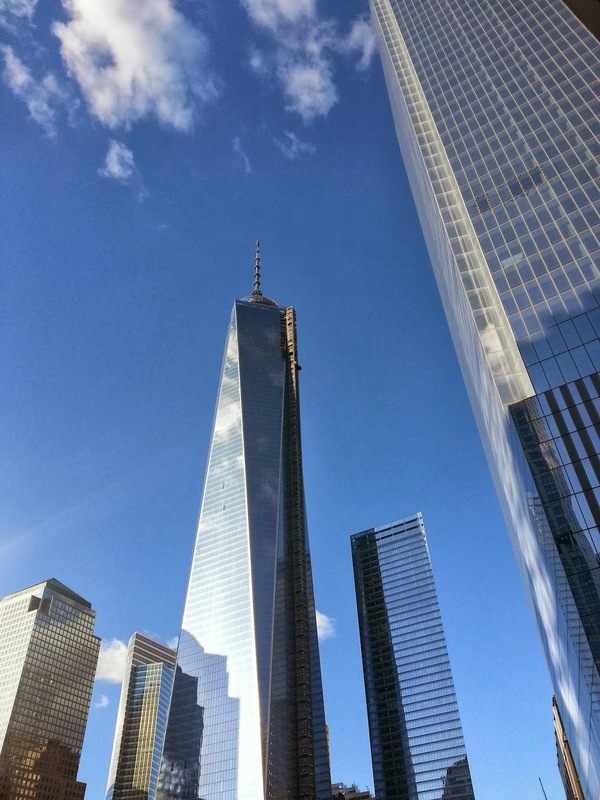 A trip to New York isn't complete without a stop at the 9/11 Memorial and Tribute Site at the World Trade Center. The new buildings are still under construction, but they have certainly made lots of progress since our last visit. 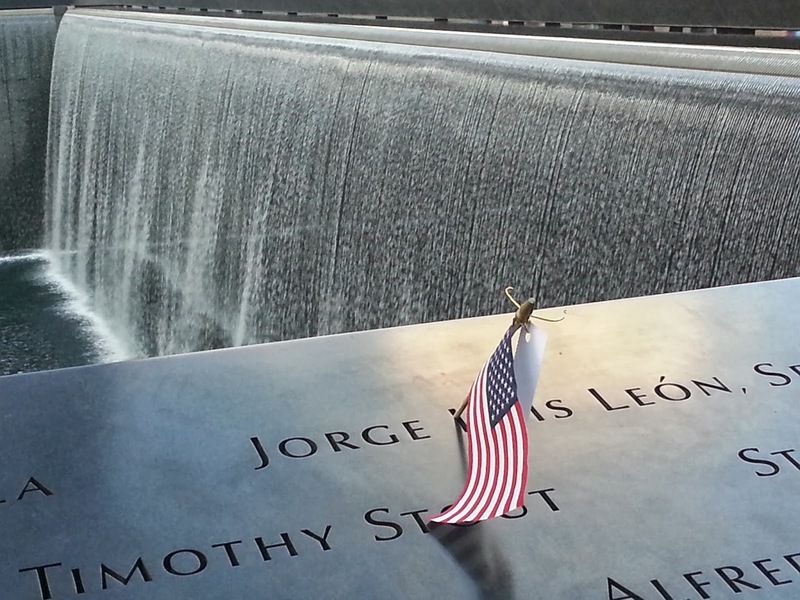 Here is an image of the South Tower fountain. A flag has been placed by a Girl Scout troop. You'll also see roses placed by workers on the birthdays of the victim. 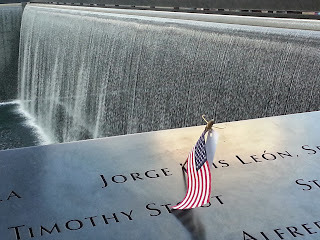 We uploaded several pictures to our Facebook Fan Page while we were at the memorial. We've also created the start of our National Conference updates on our Shutterfly page. We will be sailing from Manhattan Cruise Terminal today to Bermuda on Norwegian Breakaway. See you later once we get onboard the ship. Greetings from New York City. 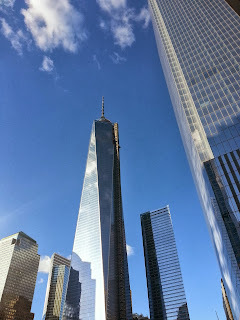 We followed our own advice and have arrived one day before our National Conference Cruise from New York's Manhattan Terminal to Bermuda on Norwegian Breakaway. We landed at LGA around 2 PM and retrieved our checked bag from baggage claim and called our hotel, Marriott's SpringHill Suites, requesting a shuttle pickup. Upon going outside, we were amazed to see the passenger pickup lane filled with cars parked waiting for their passengers. Coming from Chicago's O'Hare International Airport, this scene was shocking since it would not be allowed. After about 20 minutes, our shuttle van arrived and we were off to check in. Next stop - Metro bus and train to site of the World Trade Center and the 9/11 Memorial. We'll share more information about this visit in another post. See our Facebook Page for more pictures. Weather has been plaguing cruise ship schedules the past few days with the latest impact occurring this week in Sitka. Two ships, Holland America Westerdam and Oosterdam were scheduled to make calls in Sitka, but those calls have been cancelled. Calls by the same ships were cancelled last week as well. The current weather forecast calls for rainy and windy conditions for the next few days, prompting the cancellations. These would have been the final ships to call in the port town for the 2013 Alaska Cruise season which begins in May and runs through the end of September. In other weather, we need to keep an eye on a potential storm that might develop on the east coast of the United States in the next few days. While this is disappointing for the passengers who had hoped to get into the Alaskan port of Sitka, cruise lines always take security of passengers, crew, and ships into consideration when making changes like this. We are getting ready for our National Conference, so we've just put a photo book together from our last trip to Bermuda on Norwegian Cruise Line. 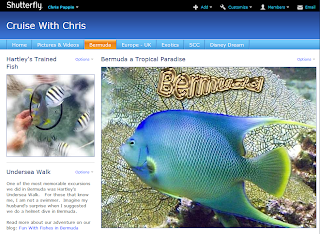 Bermuda is one of the most friendly islands to visit in all the world. There is so much to do as you can see in this photo album. While we put many of our images into this photo album, we didn't put them all, so be sure to visit our Share Site on Shutterfly. This is a great way for you to capture your cruise memories. When you get back from your vacation, just upload your images to Shutterfly. 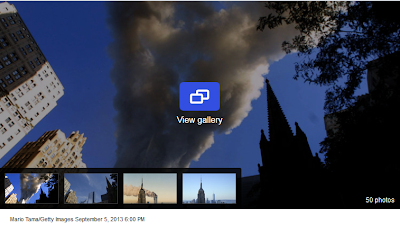 Put the photos in albums and share them on a share site. Select some of your favorite images, add some text describing the pictures, and submit your order. I put this one together in a few hours. The hard part is narrowing down the pictures that you want to include. Here's to great cruise vacations captured in print. Shortly after 4 AM local time in Giglio, Italy, there were shouts and claps for joy followed by the sound of a horn piercing the night's silence as the Costa Concordia reached full vertical. Thanks to the marvels of modern technology, the ship was raised to this position and we were able to watch live on the internet. There was joy amongst the workers of course, but there is also sorrow knowing that lives were lost on this very spot. In fact, there are still 2 missing bodies that were never accounted for. Prior to the parbuckling, there were hopes that those bodies would be found. So far that has not been the case. The entire parbuckling operation took 19 hours, longer than expected due to weather delays and stoppages dues to technical difficulties. The final phase went quickly as gravity provided assistance. 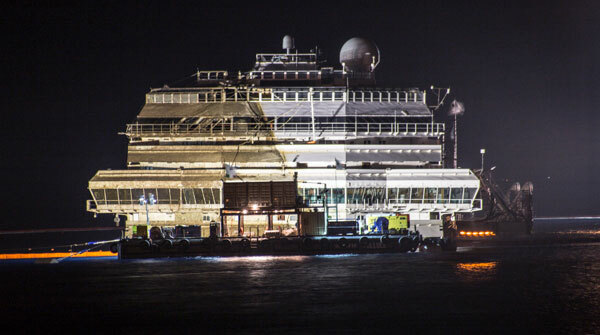 In this article, Yahoo has a collection of images that are emerging as daylight falls upon the now vertical Costa Concordia. There are some amazing images, just as there were immediately following the tragedy 20 months ago. Our article from yesterday has links to the official Parbuckling Project site and other useful information. 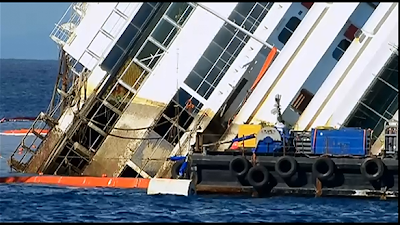 This image extracted from a live video of Costa Concordia's Parbuckling Procedure, which began today in Giglio, shows the slow process of righting the vessel. The actual process started around 9 AM this morning after a storm delayed the start. The overall project is 77% completed and is being carried out by a crew of 474 workers and 28 vessels and crafts on site. For a video and additional details of the salvage operation, see Costa Concordia Salvage Begins. Please Note: During the actual operations (daytime hours local Giglio time) you may experience problems accessing the Parbuckling Project's website. It is best to view off-hours. 16 Sep 2013 4.20 P.M. The wreck side has been successfully dislodged from the reef by applying a maximum load of 6,000 tons (in line with forecast), thanks to the force exerted by the strand jacks operating the system of winches and steel chains. The wreck has now rotated 10 degrees and will need to rotate at least as many before it has completed the first 20 degrees with reference to the initial position which is the approximate point at which the intake valves of the 11 sponsons attached to the port side of the hull reach sea level. In the meantime the whole parbuckling system is being monitored constantly, with continuous checks – for example – of the condition of the strand jacks and chains, etc. 7.00 P.M.:The Titan Micoperi consortium announced that strandjack operations were temporarily suspended for an hour for maintenance work. It was in fact necessary to intervene with a dedicated team to avoid slack cables from interfering with the tensioned cables. The ‘Fast Response’ team is comprised of 8 people ready to intervene for checking purposes or in the event of anomalies. As foreseen by the operating and site procedures, access onboard was via a specifically positioned ladder, and safety checks were carried out. The team who intervened are all qualified to work on the wreck, are equipped with climbing gear and protective devices as necessary. Parbuckling operations have now resumed. Follow us on Facebook for Updates to this ongoing story. We'll post links to images, videos, and news stories from various sources. 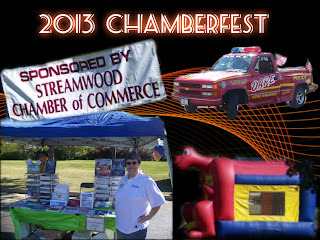 Well, we took our "cruise" and vacation show on the road as well Saturday as we participated in the Streamwood Chamber of Commerce (SCC) ChamberFest and Car Show at Hoosier Grove Barn in Streamwood, IL. It was our pleasure to be part of this annual event supporting the work of SCC, a non-profit organization that is dedicated to promoting, enhancing and supporting the prosperity of its members while also supporting the future of our community through their Scholarship Programs. 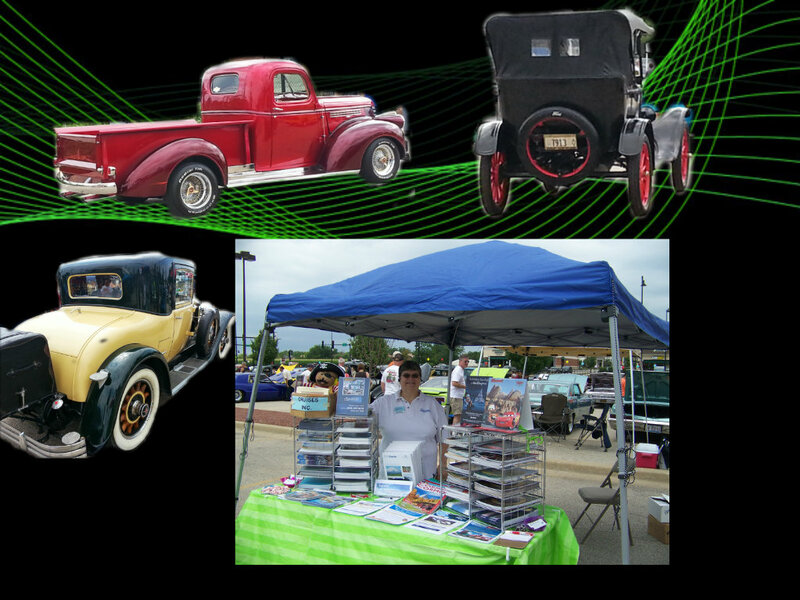 There were several of the local classic car owners in attendance along with several racing cars. 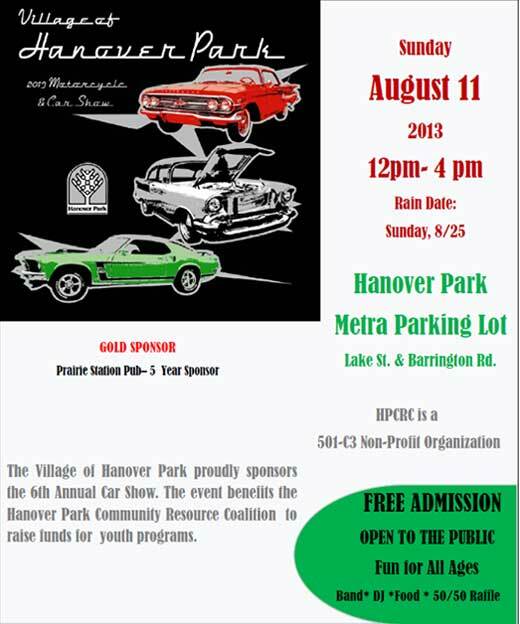 One of the favorites was the D.A.R.E truck from the Streamwood Police Department. Visitors could get a closeup look at the cars and then vote on their favorites. Trophies were presented to the winners at the end of the event. We couldn't have asked for a better day. Temperatures were in the upper 60s with puffy clouds painting the blue sky. Many families came right from their soccer games in the adjacent fields to visit our fair. The children loved the bouncy house which was sponsored by the SCC. Those that visited our booth, which was part of the vendor fair, had an opportunity to explore vacation options ranging from trips to Disney resorts to cruises of all lengths on the seven seas. It is possible to tie in your love of cars into your vacation. Disneyland has a "Cars" attraction based on the animated film. You could sail away to Monaco and see the track which runs through town just to name a couple options. As past president and member of the board of directors, I was kept busy throughout the event, but did manage to speak with most of the people that stopped by our booth. Once again Alaska seems to be dominating the interest for cruises while the Mediterranean leads the pack for land travel. Of course, Walt Disney World and Disney Cruise Line is a favorite for families. We encourage you to check out our many resources to help you explore vacations options. Better yet, give us a call, tell us what you like to do, and let us work our magic finding you the perfect vacation. A new tropical depression, TD 13-E formed Friday and is expected to become Tropical Storm Manuel. Heavy rainfall is predicted for Mexico as a result of this tropical weather system. Manuel degenerated on the 16th and then regenerated 36 hours later and later grew to a Hurricane before proceeding ashore in Mexico. COAST WITHIN THE HURRICANE WARNING AREA FOR THE NEXT FEW HOURS. (Sep 12) Tropical Depression Ten formed in the Gulf of Mexico prompting warnings for heavy rain and life threatening conditions in Eastern Mexico. (Sep 14) The storm continued to strengthen with Tropical Storm Ingrid becoming the second hurricane of the Atlantic season Saturday afternoon. This is the second storm of the Atlantic season to form in the Gulf of Mexico, and once again a powerful one, becoming the second Hurricane as well. The same part of Mexico that is just recovering from Humberto is once again under heavy rainfall and winds. KM...MAINLY NORTHEAST OF THE CENTER. COATZACOALCOS TO SOUTH OF TUXPAN HAS BEEN DISCONTINUED. 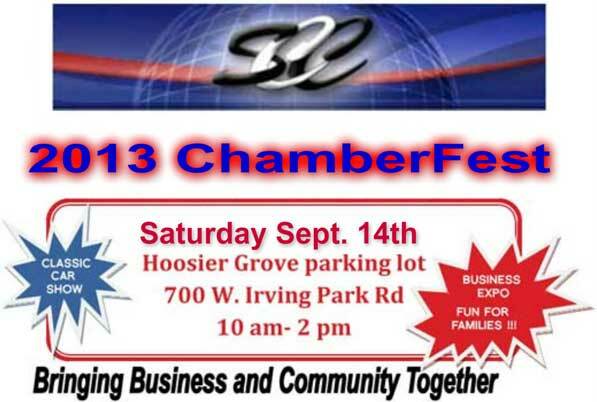 Attention car enthusiasts - don't miss the 2013 Streamwood ChamberFest & Car Show this Saturday from 10 AM - 2 PM. There will be several racing cars present as well as some of the local favorites from our monthly shows that are held at The Loop Bar & Grill in Streamwood. We'll have information at our booth about the 2014 Grand Prix voyages on Azamara Club Cruises. 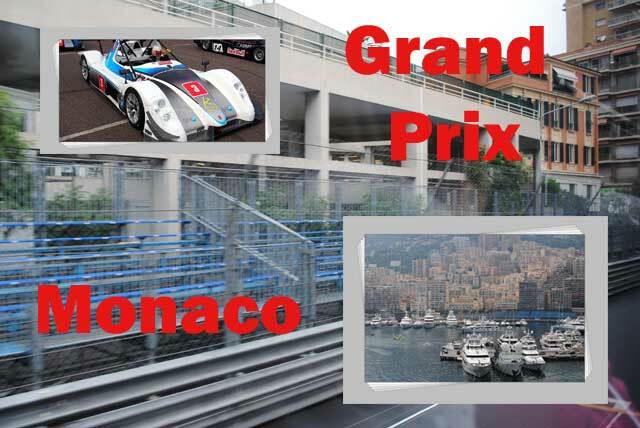 You can select from a 4 Night or 8 Night voyage, both of which will be in Monaco on race day. Whether you purchase Grand Prix tickets and watch the race, visit the Grand Casino, or other nearby attractions, your day in Monaco will certainly be one of the highlights of your cruise vacation. Royal Caribbean's Quantum of the Seas which is currently under construction will feature a multi-purpose entertainment complex which will include bumper cars. 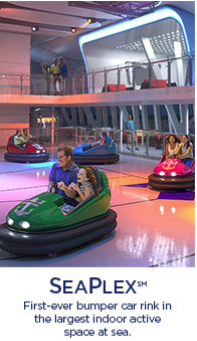 In addition to bumper cars, the ship will include many of the features from the Oasis-class along with some new innovations such as a parachuting simulator, virtual balconies and many more. Studio staterooms will allow solo travelers to enjoy their space, inside and out, with 12 of the 28 cabins including balconies. 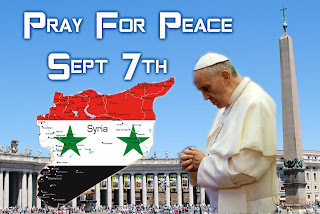 By a joint resolution approved December 18, 2001 (Public Law 107-89), the Congress has designated September 11 of each year as “Patriot Day,” and by Public Law 111-13, approved April 21, 2009, the Congress has requested the observance of September 11 as an annually recognized “National Day of Service and Remembrance”. President Obama officially proclaimed September 11, 2013, as Patriot Day. In his remarks, the President said "Twelve years ago this month, nearly three thousand innocent men, women, and children lost their lives in attacks meant to terrorize our Nation. They had been going about their day, harming no one, when sudden violence struck. We will never undo the pain and injustice borne that terrible morning, nor will we ever forget those we lost." (Sep 16) Humberto becomes a tropical storm again and it is forecast to strengthen again as it turns noth-northwest. As is typical for this time of year, a disturbance near the Cape Verde islands is expected to strengthen into a tropical storm. We will monitor this storms as it heads across the Atlantic. AND IT IS FORECAST TO BE ABSORBED BY A FRONT BY FRIDAY NIGHT. Viking Cruises announced that they have increased their Viking Longship order from 12 to 14 vessels for delivery in 2014. The new ships will sail the line's most popular European itineraries. 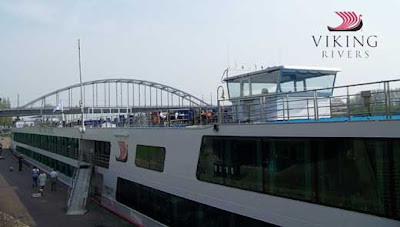 The increased order reflects the popularity of river cruising as the fastest growing-segment of the travel industry and the leadership position of Viking, the world’s leading river cruise line. With the addition of these new Longships,Viking River Cruises will have increased its fleet by 30 ships since 2011. This is the most rapid expansion the industry has seen. If one were to add all the ships of their competitors together, they would still rank #1. For those that are unfamiliar with river cruising, it brings an entirely new dimension to the cruise experience. Due to the size of the vessels, it is possible for them to dock right in the heart of the destination's town. There is no need for an elaborate pier infrastructure. The ship could even tie up to a tree, as they due in some of the remote parts of the globe. Walk off the ship and right into the center of action. In most cases, there is no need for a long bus ride to begin seeing the sites. Due to the size of the ships, there are much fewer guests onboard as well, making for a more intimate experience as you get to know your fellow passengers during the cruise. Since the number of cabins is limited on the ships, the only way for Viking River to satisfy demand is by adding additional ships. If you'd like to try this method of cruising, you need to plan early. According to the press release (6 Sep 2013), "The operation to right the ship Costa Concordia (known as “parbuckling”) has been given the go-ahead for this month: this was the outcome of a meeting convened in Rome today at the headquarters of the Civil Protection Department, by the Emergency Commissioner Franco Gabrielli, and attended by representatives from the Advisory Committee, the Observatory, the Micoperi-Titan Consortium and the cruise line Costa Crociere." Before the actual work takes place, authorities will need to review test certificates, inspect the structures, and complete preliminary activities. No date for the actual parbuckling was given in the press release. The low pressure area near Tampico Mexico is expected to move inland before becoming a tropical cyclone, but it is likely to bring 3 to 5 inches of rainfall and as much as 8 inches in the Mexican states of Veracruz and Tamaulipas during the next few days. Heavy winds, near tropical storm strength, are also expected which means that the area should be prepared to take appropriate actions just as they would if the tropical storm had already formed. ON THE SYSTEM IN THE GULF OF MEXICO. We have entered into the most active time of the 2013 Atlantic Hurricane Season and the image above reflects several potential storms that are being tracked today by the National Hurricane Center in Miami, Florida. The yellow color indicates that none of the storms have a high risk of developing into tropical cyclones in the next 48 hours, but that doesn't mean that there won't be associated weather (eg. heavy rains) in the area of the developing storms. In particular, the low pressure area near Tampico Mexico is expected to move inland before becoming a tropical cyclone, but it is likely to bring 3 to 5 inches of rainfall and as much as 8 inches in the Mexican states of Veracruz and Tamaulipas during the next few days. Heavy winds, near tropical storm strength, are also expected which means that the area should be prepared to take appropriate actions just as they would if the tropical storm had already formed. Unfavorable conditions are preventing the further development of the remnants from Tropical Storm Gabrielle, but that doesn't mean that development is completely out of the question. Once the storm moves further northwestward, over open Atlantic waters, it could redevelop as it heads towards Bermuda. This time of year, storms near Cape Verde Islands are pretty common and often those storms are the ones that make landfall in the U.S. on the east coast. There is a low pressure system in the area, but there isn't an immediate risk of the storm becoming a tropical cyclone. Click on the link above for the complete text of the Special Bulletin. A new tropical depression, TD 12-E formed this morning and is expected to become Tropical Storm Lorena It is currently southwest of Mexico. The storm is expected to begin weakening on Sunday. (Sep 11) TS Gabrielle is now west of Bermuda and tropical storm warnings have been discontinued. The storm is continuing its trek across the Atlantic with the next stop Canada. Tropical Storm warnings will be posted in a few days for Nova Scotia and other ports in that region. A disturbance in the East Caribbean Sea has taken the traditional circular shape of a tropical cyclone and has become Tropical Storm Garbrielle. It is currently producing heavy rains in Puerto Rico and will threaten the Dominican Republic as well. The storm is forecast to take a north / northwest turn later in the week, heading towards Bermuda. 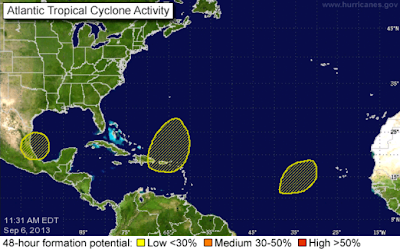 This storm has the potential for impacting cruise schedules. We will monitor this storm closely. OVER OR NEAR BERMUDA IN THE NEXT FEW HOURS. THE NEXT FEW HOURS...ESPECIALLY AT ELEVATED LOCATIONS. AMOUNTS OF 1 TO 3 INCHES OVER BERMUDA. Since March 1959, BarbieTM dolls have been an integral part of little girls' dreams and an important part of the fashion doll market. As the holidays approach, little girls make up their wish lists of dolls and accessories for their toy chests. Taking things one step further, Royal Caribbean International has entered into a partnership with American toy-company Mattel, Inc. to bring the fashion dolls to sea in an exclusive add-on package. The BarbieTM Premium Experience, caters to girls age 4 to 11, but is open to anyone that loves Barbie. Guests set sail on a Barbie dream cruise complete with fun, fashion and runway moments. Participants make lifelong memories and take to the waves in true Barbie style! The experience starts in your stateroom with a decorated vanity area and special Barbie package including a BarbieTM doll, three fashion accessories, blanket, pillowcase and toiletries. There are events throughout the cruise designed exclusively for children in the program that include a tea party, dance class, fashion design experience and fashion show. The program fee for the BarbieTM Premium Experience is $349 per child. For 3-4 night Bahamas sailings guests will receive a limited experience (no tea party or fashion designer workshop and smaller in-stateroom package) for $75. Once booked there are no additional charges for the activities included in the Premium Experience. Did you play with Barbie, Ken, and their playmates when you were growing up? Would you daughters like to do so as well? What was your favorite doll or accessory? Don't you wish you could be a kid again (I know that I would.)? Bring Barbie and her friends to life on one of Royal Caribbean's ships and watch the sparkle in the little girl's eyes. The crisis in Syria has had its first impact on cruise line itineraries as Holland America Line skipped calls in Haifa and Jerusalem this week citing “the uncertainties of possible military action against Syria and the potential of resulting Syrian attacks on Israel.” as reason for the itinerary changes. The line replaced these calls with visits to Bodrum and Antalya, Turkey, and Nafplion, Greece. 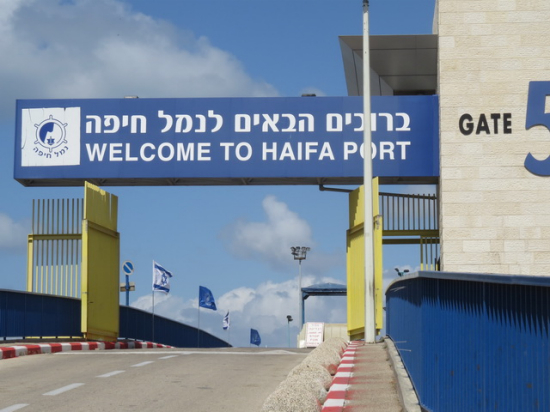 We previously reported, in Must be Summer - Egypt Calls Canceled, that Noordam had replaced port calls in Port Said & Alexandria with these ports in Israel due to the unrest in Egypt. As tensions rise in the region, cruise lines and governments will be closely monitoring developments and making adjustments and recommendations as warranted. As always, regardless of where you are traveling, citizens of the United States and all countries, should be vigilant of their surroundings while abroad. 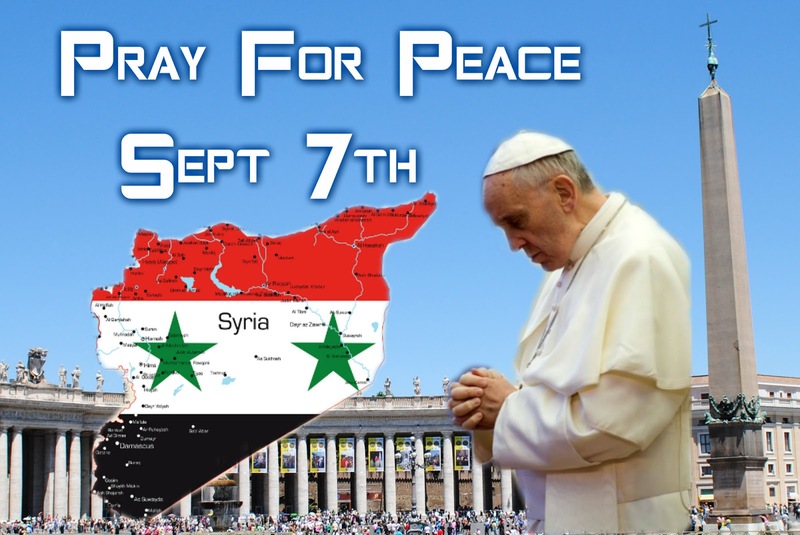 The Pope is calling on people of all faiths to unite in prayer this coming weekend for peace in Syria, Middle East, and the world. We will continue to monitor this developing story as unrest continues to impact the travel industry.